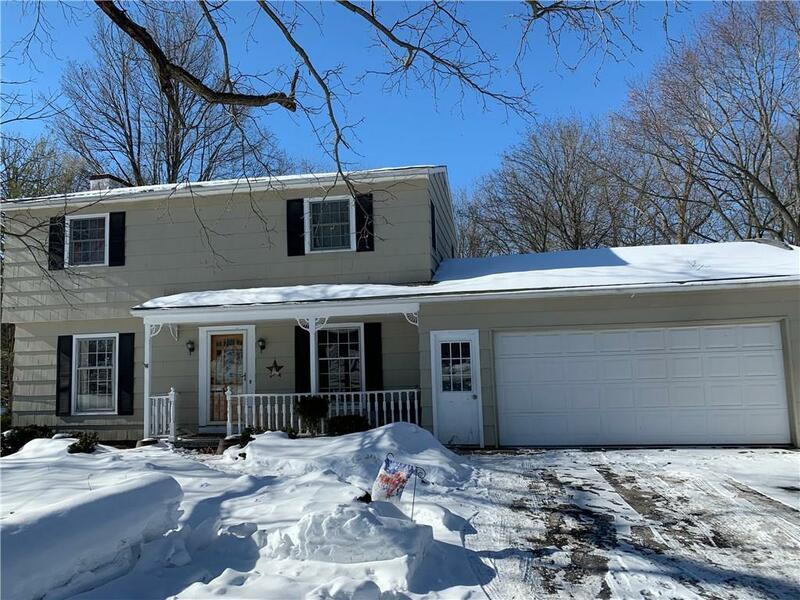 MINT 3/4 BEDROOM , 1.5 BATH COLONIAL IN PENFIELD! LARGE EAT IN KITCHEN w/GRANITE COUNTERS, UPGRADED APPLIANCES, HEATED FLOORS IN EAT-IN KITCHEN AREA! KITCHEN OPENS TO FABULOUS FAMILY ROOM DESIGNED FOR ENTERTAINMENT,W/WB STOVE AND BRINGS THE OUTDOORS IN WITH ATRIUM DOOR THAT LEADS TO TREX DECK OVERLOOKING PRIVATE, WOODED YARD! FORMAL LR w/WB FIREPLACE, FORMAL DINING ROOM, BEAUTIFUL HARDWOODS THROUGHOUT**3 BEDROOMS w/POSSIBLE 4TH OR CAN BE USED AS DEN/OFFICE**UPDATED BATH NEWER ELECTRICAL BOX, DRIVEWAY AND NEW WALK WAY AND PATIO PAVERS ON OPEN FRONT PORCH** NEW THERMAL WINDOWS **CONVENIENT LOCATION TO SCHOOLS,SHOPPING,EXPRESSWAY AND CHURCHES**THIS IS A MUST SEE! !